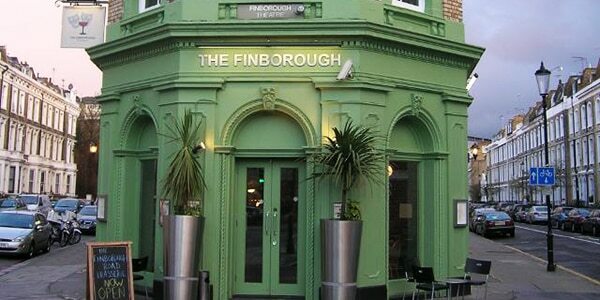 The Finborough Theatre was opened above the Finborough Arms in June 1980 by June Abbott. During that first decade artists such as Ken Campbell, Clive Barker, Kathy Burke, and Mark Rylance worked with the theatre. From the beginning of the 1990’s the theatre started to started to emphasise new writing, with work by Anthony Neilson, David Elridge, Mark Ravenhill (including his acclaimed play Shopping and F**king), and David Farr being performed there. The theatre also hosted the UK premiere of David Mamet’s The Woods. The presentation of new writing continued into the 2000’s with UK premieres of work by Brad Fraser, Larry Kramer, Lanford Wilson, Tennessee Williams, and Frank McGuinness. In the 2010’s, a string of revivals was added into the mixture, with productions as diverse as Fen, The American Clock, Cornelius, and Accolade. The theatre has won multiple awards, including the Pearson Award bursary for playwrights seven times (2000, 2005, 2006, 2007, 2009, 2010, 2011, 2012), and an award for the Encouragement of New Writing from the Writers Guild of Great Britain in 2010. Under Artistic Director Neil McPherson (himself a multi-award winner), the 50-seat theatre continues to host an exciting mix of radical revivals and acclaimed new writing.